Jennille is one of the newest black belts at Nova Defense Systems. She is currently a 1st degree Black Belt, having earned her rank in March 2015. 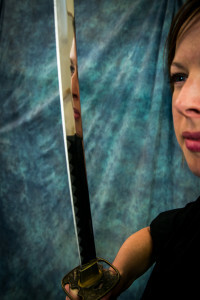 She has enjoyed learning and applying the many life lessons learned through the study of martial arts. Her goal is to help the students learn them, as well. Jennille also loves that her family studies Kenpo along side her at Nova Defense Systems.